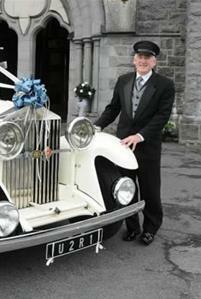 U2R1 Wedding Cars is a family business run by Noel O’Connell and his daughter Ashling. The company began trading in 2006, at the height of the recession. When everything was caving in around us, our business has grown by approximately 20% each year. 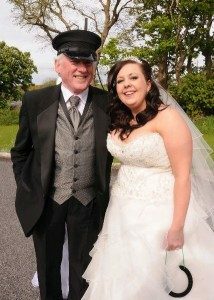 This growth in the wedding car business has not gone unnoticed and in 2013 the company was awarded the ”Wedding Transport Supplier of the Year” by www.WeddingsOnline.ie. One of the main reasons for the company’s success is the owner Noel O’Connell’s passion for cars. Before he started the business, Noel was an avid collector of vintage and classic cars, with two Porsche 911’s amongst the collection. 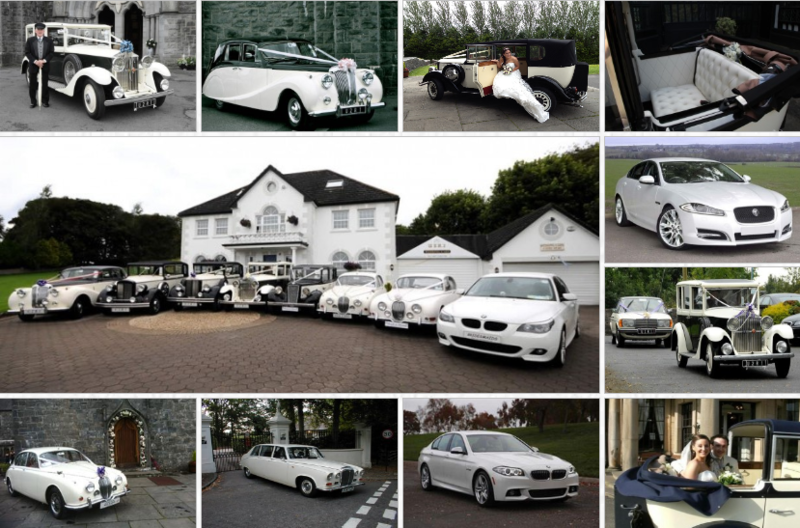 Originally specialising in Classic and Vintage Wedding Cars, U2R1 now also offer a selection of modern and contemporary cars to cater for all preferences. 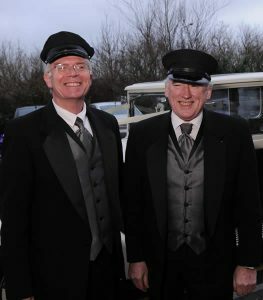 Our chauffeurs have been with us for many years. They are suitably qualified, licensed, highly experienced, professional, polite, helpful and committed to making your special day hassle free and truly memorable. They will get to your destination safely and in style. They will help you out of the car and protect you from the elements. If you would like to have a picture taken with the car, they will position the car according to your photographer’s instructions. We have in total 15 Wedding Cars in our fleet, including classic and modern cars, so are guaranteed to find something to match your needs and your wedding theme. We pride ourselves in keeping the cars in a pristine condition and have our own mechanics with over 40 years of work experience. Achill, Aghagower, Ardagh, Athenry, Athenry, Athleague, Athlone, Balinrobe, Ballaghaderreen Ballina, Ballinasloe, Ballintober, Ballycastle, Ballyhaunis, Ballymahon, Ballymote, Ballysadare, Ballyshannon, Bangor, Belmullet, Black Sod, Bohola, Boyle, Bundoran, Carrick-on-Shannon, Castlebar, Castlerea, Charlestown, Claregalway, Claremorris, Clifden, Clonbur, Collooney, Cong, Cornamona, Corrafin, Craughwell, Crossmolina, Drumcliff, Drumshanbo Dunmore, Edgeworthstown, Enniscrone, Erris, Foxford, Galway, Grange, Headford, Headford, Kilkelly, Killala, Kilmane, Kiltimagh, Knock, Leenaun, Longford, Loughrea, Louisburgh, Manorhamilton, Maum, Milltown, Mohil, Mount Bellew, Mount Temple, Moycullen, Moylough, Mullaghmore, Mulranny, Newport, Oranmore, Oughterard, Pontoon, Roosky, Roscommon, Rosses Point, Rossnowlagh, Roundford, Shrule, Sligo, Strade, Strandhill, Strokestown, Swinford, Toureen, Tourmakeady, Tuam, Tubbercurry, Tully Cross, Turloughmore and Westport. 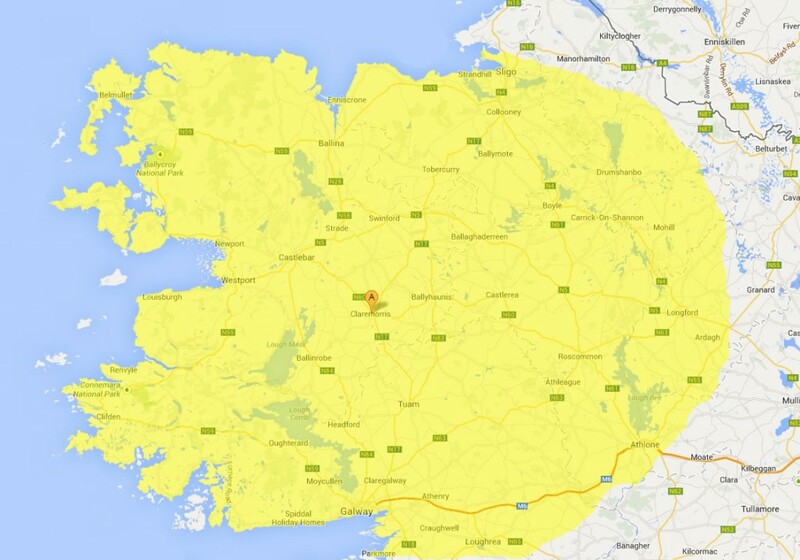 However, we always try to accommodate our customers and we have traveled as far as Dublin and Cork in the past.